Ana represents clients in criminal, academic, and employment cases, including cases where her clients have been discriminated against because of their race, gender, sexual orientation, or religion. 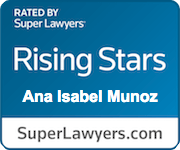 In 2018, Ana was selected to the Rising Stars list by Super Lawyers. Prior to joining the firm, Ana was a John J. Gibbons Fellow in Public Interest & Constitutional Law at Gibbons PC in New Jersey. As a Gibbons fellow, Ana managed a broad civil rights docket. She obtained favorable settlements for clients suing government agencies that wrongfully withheld information from journalists and advocacy groups under the Freedom of Information Act. She successfully briefed and argued an appeal before the Third Circuit that resulted in a precedent-setting decision for civil rights cases that raise issues of qualified immunity. She served as counsel to a coalition crafting legislation to create a civilian complaint review board in Newark, and advised her clients on the reach and limits of cities’ power under state and federal law. Before working at Gibbons, Ana clerked for three years on the federal district court and federal appeals court. Prior to her clerkships, Ana worked primarily in the field of immigrants’ rights. As a Yale Public Interest Fellow at the Bronx Defenders, she was responsible for advising immigrant clients on plea offers in criminal cases, challenging unlawful detainers, and representing clients in removal proceedings. During law school, she was part of a team that represented a group of immigrants who were unlawfully detained after a warrantless early morning sweep of their neighborhood. The suit ended in what was at the time the largest monetary settlement ever paid by the United States in a suit over residential immigration raids, and the first to include both compensation and immigration relief. 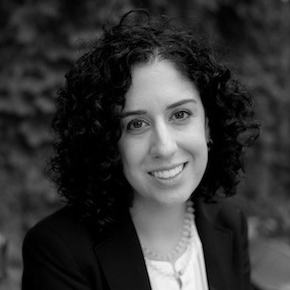 Ana has also worked extensively on voting rights and voter protection issues, including as a researcher and organizer at the Brennan Center for Justice. Ana habla español y tendria mucho gusto de servirle a clientes que hablen español.